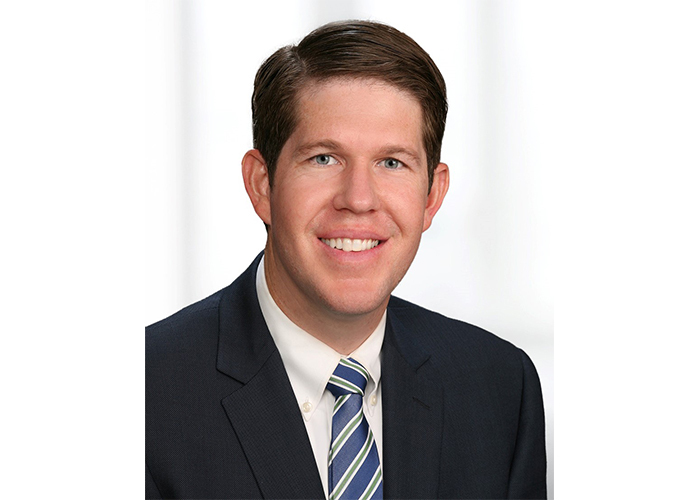 Chris Cherry, a patent lawyer at Buchanan Ingersoll & Rooney PC, talks about the need for biology PhDs in patent law and how he learned that leaving research does not mean the end of being involved in cutting-edge science. What was the turning point for your transition to patent law? I did my PhD at Johns Hopkins, and I was a little older when I started grad school compared to others. I was married and we had children during graduate school. Grad school may not have been the easiest time to have children, but I don’t know if there is ever a “convenient time” to start a family. 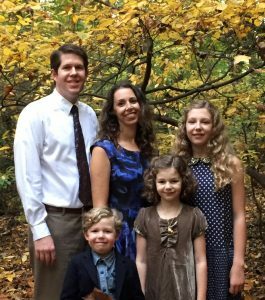 With a family to support, thinking about career choices became really important. To get a sense of what you can do outside academia, I attended a career panel of Hopkins alumni who had pursued different careers. One person on the panel was a patent attorney, and she talked about how it was the coming together of science and law, which was really interesting to me. I wanted to get a sense of whether this is something I could do. I contacted the Technology Transfer Office at Hopkins to intern there for 4-5 hours a week while I was still a grad student. It exposed me to what patent law was like. As I got closer to finishing up, I was proactive in reaching out to other patent attorneys and maintaining connections. All of this prepared me to take up a position at a law firm with the same patent attorney from the career panel. I began as a technical specialist – relying on my technical training and experience to advise on biotech-related patent matters. After I had been with the firm for a year or so, I started to attend law school in the evenings while continuing to work at the firm during the day. The firm did not require that I go to law school, but they supported me, both financially and by reducing my workload. I finished law school a few years ago and now practice as a full-fledged patent attorney. I have switched law firms, but continue to really enjoy what I do. It’s been over seven years now since the journey began. Almost all of the patent matters that I work on are biotech-related. I spend a lot of my day analyzing inventions, whether from small solo inventors to large companies. They’ll give us information describing the technology, and I analyze the strengths and weaknesses from both a technical and legal standpoint. I research what has been done before in that field to figure out whether it is new and inventive and help the client get patent protection. I also help people protect patents they already have, or help them distinguish their products from those that are already on the market. People often don’t realize that law is a service industry, where you are providing a service to your client that you often bill at an hourly rate. I learned to be very careful with planning, staying on top of deadlines and keeping track of my time. You often record your time down to every six minutes so you can justify the bill you send to the client. It was a big change for me to have to pay closer attention to the clock and be really careful with what I was doing with my time. At first, I would often forget to write down my hours, and it’s definitely something I had to get used to! Are there experiences gained during your academic training that you find particularly helpful in your current position? The ability to critically look at data or a complex document and understand what is being presented. I still do a fair amount of scientific analyses and often give feedback to inventors about other experiments they can do to strengthen their invention. A recent report by the Council of Graduate Schools pointed out that STEM graduate training often does not provide the skills needed for communicating with specialists from other fields. How has this played out in your experience? During graduate school, I learned to present ideas to other scientists in the field but did not have the chance to present to a broader audience. As a patent lawyer, I often have to describe an invention to another attorney who may not have the background that I do, and this forces you to find other ways to describe things. One of the best ways I’ve learned to communicate better is by observing the skills of effective communicators. People who are good at making analogies often do a very good job at presenting information to non-specialists. If you can come up with an analogy using an everyday object that is more familiar to people, you can break down the complexity using an entry point that everyone understands. I can recall earlier meetings in my career, where I described something and thought I did a good job, then realized that the person I was talking to did not understand what I said. Those kinds of experiences were another way to learn from my mistakes and improve my communication skills. 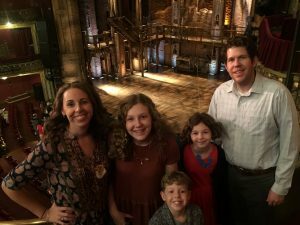 The Cherry family at the musical Hamilton. How should you prepare when reaching out to a patent law firm about a position? Do research to figure out what patent attorneys do. We don’t expect applicants to know everything about patent law, but it’s important to be able to answer why you want to do patent law. You should also demonstrate your technical strengths. We want to hire scientists with strong technical backgrounds and we will then teach you the law. You have to show that you are interested and excited, so you should be familiar with what a specific person or firm is doing. Spending time on a firm’s website and generally researching who its clients are will go a long way. If you really want to stand out, it’s important to identify issues you find interesting in patent law (even issues in general), and show your ability to discuss issues in the field, which can impress the person you are speaking with. Can graduate programs or students reach out to law offices to set up internships? Our firm is working with Hopkins to develop an internship program, and other firms may be doing the same. If a graduate program is interested in setting up internships, professors and administrators can certainly reach out to law offices to make contacts. Trainees can also directly reach out to a firm. There is a high demand for people with PhDs in this field. With the right background and exposure, doors will open. What are good networking opportunities for patent law? First, I would recommend going through the career office of your school to see if they can give you more information and reach out to alumni who have pursued patent law. In addition, there are bar associations for attorneys in each state where attorneys meet every other month or so to talk about different topics. Many bar associations have an Intellectual Property section, where attorneys involved in Intellectual Properly meet and have mini-conferences. You can reach out to the board members of the Intellectual Property section to ask if you can attend the meeting. We’re open to people attending these events. Do you have any advice for trainees who are having a difficult time choosing their career path? I suggest researching different career paths you can take. It might not be sufficient to just talk to someone about their daily experience. Instead, you have to somehow get your feet wet, like gaining experience as an intern, to know if it is something you would be interested in. I would encourage schools to put in place programs where students can be exposed to other careers. Before the career panel, I wasn’t aware of patent law. Whenever I thought of careers outside of academia during my graduate program, I always assumed that I was giving up on being a scientist or doing science. I certainly do not think that is true for many of the careers out there. You can still be involved in understanding and interacting with science. I get to learn really cutting-edge technology that hasn’t even been publicly disclosed yet– it’s a lot of fun. Didem Sarikaya is the Co-Chair of the Early Career Scientist Career Development Committee and an FRSQ Postdoctoral Fellow at the University of California Davis. She is committed to bringing forward stories and tools for trainees to learn more about career options so they can develop personally meaningful career trajectories.